The procedure for mochitsuki is quite simple. 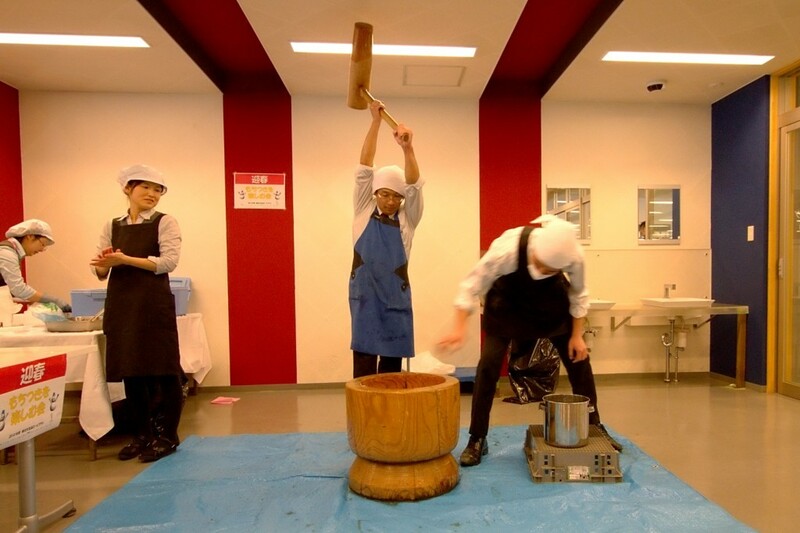 The guy with the big mallet pounds the mochi repeatedly while the guy next to him adds water and kneads it a bit between whacks. After a thorough pummeling, the mochi is removed and formed into small balls. These are then coated in various powders for flavoring.